Updates included date filter on invoices & tickets, added file_url ability to leads, included some more attributes in some of the detail endpoints. Syncro uses a very simple HTTPS REST API. 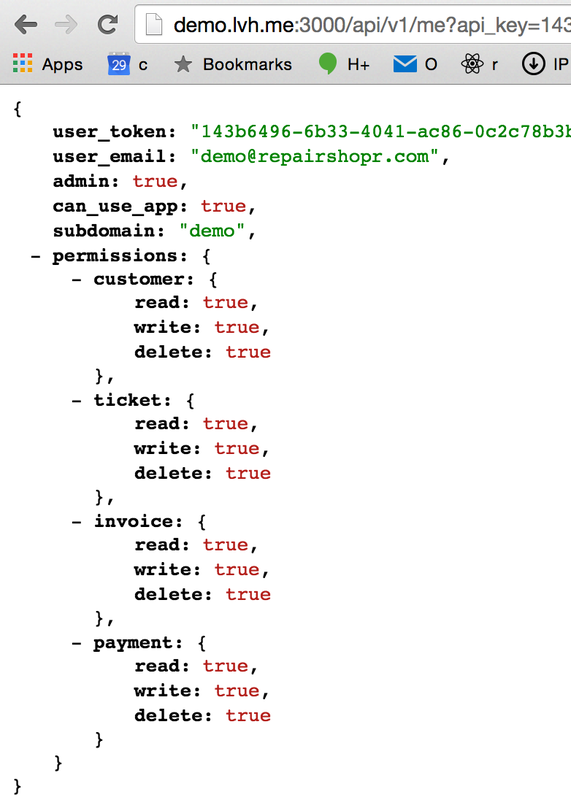 Our API has a very simple authorization, a user-level API key passed as a param. Just click that little 'reset' link on the profile page and a new key will be generated. It will immediately block access to the current/old key. We are exposing endpoints as-needed, there are a handful that have been in production for a while now. Here you go! For some extra things you can do with leads, including using PHP, please click here! Please note that Recurring Invoices model and endpoint is named Schedule. :email_customer - boolean - email customer on invoice creation? :frequency - string - recurring invoice frequency, valid values are "Daily", "Monthly", "Weekly", "Biweekly", 'Quarterly', 'Semi-Annually', "Annually", "Biennially", "Triennially"
If you send an optional ticket_id, the appointment will attach to the ticket instead of just the account. If you send just a start_at, and appointment_duration param - the appointment_duration looks like this: "6 hours"
The "Owner" of the appointment is the user_id. Attendees are an array of user_ids.